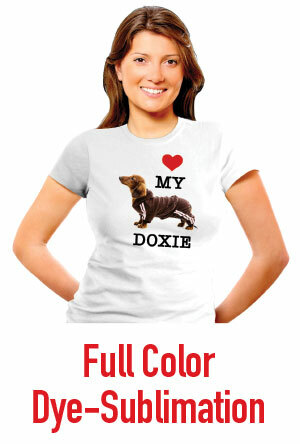 Full color photo print shirts are a great gift idea for anyone. Whether it's a fun-loving photo of an moment you want to remember, or a gift for the grandparents of their favorite little one, these vivid, high resolution color prints are amazing. 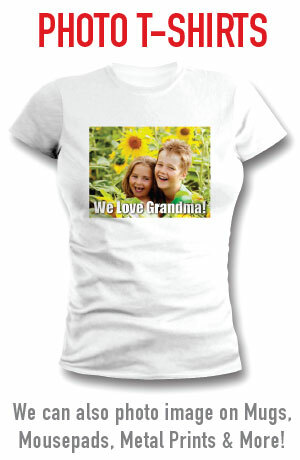 Photo prints can be produced on 100% cotton shirts using DTG or Direct-to-Garment printing technology, but has the appearance of silkscreen vs, the photo-quality results of dye sublimation on poly. We can also use the dye sublimation process to print high resolution metal prints, mousepads and coasters.